I would suggest that you can tap into a superpower you never knew you had in order to achieve this – namely that the ability to harness negative feedback is your untapped resource to being your best you! Often when criticism comes our way, we react with our emotions and ego front and centre and this is a perfectly normal response. “I’m not good enough”, “You’re wrong!”, “That’s only your opinion” and so on, are ways that we often respond emotionally to criticism about our work. But dealing with criticism is both not as hard as it seems and can benefit you beyond the immediacy of the situation. The ability to respond by engaging with feedback critically will improve you and the teams you work in. The alternative is not getting any critical feedback, which means your work is probably sub-par, no-one’s telling you and you’re not developing your skills. Here are some simple ways to get the most out of the feedback you receive, based on principles of UNDERSTANDING THE FEEDBACK and ACTING ACCORDINGLY. Most places of work, regardless of where you sit in the hierarchy, have some form of feedback on your performance. If it isn’t meeting your needs in terms of giving you the feedback to improve, then seek it out – set up a 1-2-1 with those around you. Make it easy for feedback to be given by setting some questions in advance about your performance and behaviour and using language such as advise rather than feedback and remember that the person may feel awkward. This may include questions like “What can I do, or stop doing, to make it easier to work with me?” or “Can you tell me about a time when I could have behaved differently to complete a piece of work to a higher standard?”. There are lots of free web resources to help with this. Receiving critical feedback can feel like a bit of a rough time, but having a context and a reason for seeking it out can help take emotion out of the conversation. Resist the urge to take action at this stage, simply listen hard and make clear notes of candid responses, thanking people for their openness. By having an open and honest culture, some organisations can make this process about improvement and candour a lot easier. •	How can you best use this to improve your competence levels/behaviour and what do you need to do to improve? •	If the feedback is an opinion you don’t agree with then remember you don’t have to respond to unfair or incorrect criticism. •	Respond appropriately – if some feedback is significant enough that it needs to be responded to, make sure that the response is undertaken in a measured way and focus on what you are doing to improve your practice or those around you. •	Consider the bigger picture and context at play and think objectively about how the feedback will improve the situation for those around you and the organisations you work with or for. •	Thank the person for their feedback – it is hard to be open and candid, especially for staunch British characters, and so it is important to thank people for their feedback. Perhaps consider how you might be able to follow up later down the line to show the positive impact that came from the feedback. Obtaining rich and insightful feedback from those around you will give you insightful ways to improve and be your best self. It requires that you let go of the fear of feedback and actively make it OK for people to provide you with their thoughts. 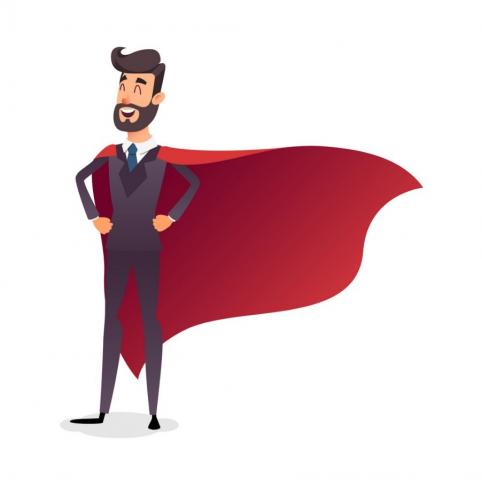 You will have confidence that your performance and behaviours are at least meeting expectations if not exceeding them, and give you personal and professional satisfaction worthy of a superhero.